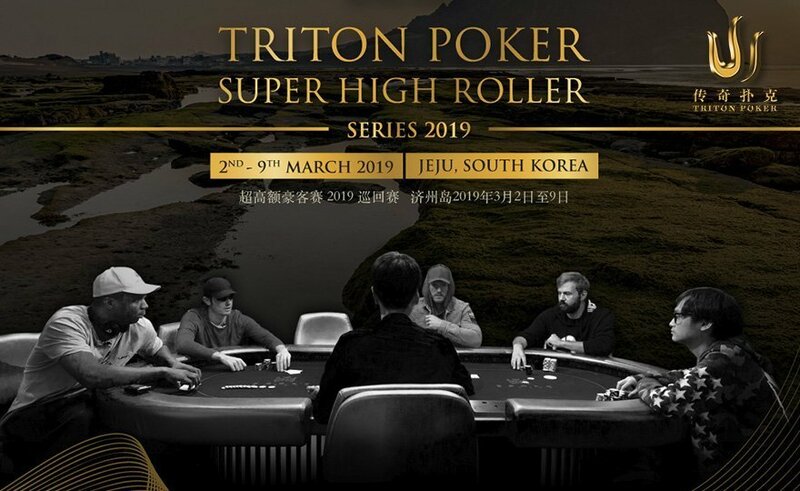 Jan 28 2019 (Jeju, South Korea) – Triton Poker’s Super High Roller Series (SHR) returns March 2 – 9, 2019 with the first of five international stops that will cement the tour’s position as the leading high stakes poker tournament series in the world. For eight days, throughout six tournaments, the world’s leading professionals and amateurs alike will flock to Korea’s Jeju Island to lock horns and share lots of laughs in six high stakes tournaments, including the world’s first Short-Deck, Ante-Only Bounty event. As in 2018, the Landing Casino in Jeju’s Shinhwa World will be the home of the most fearsome and fun high stakes poker cash games and tournaments anywhere on the globe, culminating in an HKD 2,000,000 (KRW 140,000,000) buy-in No-Limit Hold’em Triton SHR Series Main Event. * Indicates a 2 pm local start time. ** Indicates a 4 pm local start time. Players confirmed include the 10-time World Series of Poker (WSOP) bracelet winner, Phil Ivey, the inimitable Tom Dwan, Triton Poker SHR Ambassador Jason Koon, and one of the stars of 2018, and the defending champion of the 2018 No-Limit Hold’em SHR Series Main Event in Jeju, Mikita Badziakouski. 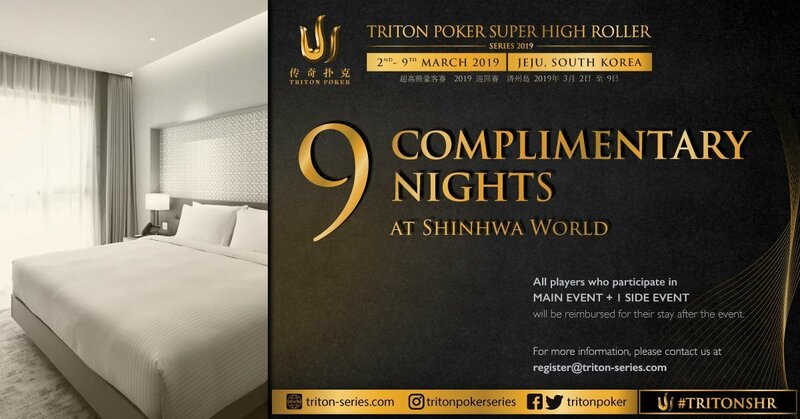 Players who compete in both the HKD 2,000,000 Triton Poker SHR Main Event, and one other side event, will enjoy free accommodation for nine nights at the Jeju Shinhwa World Marriot Resort. 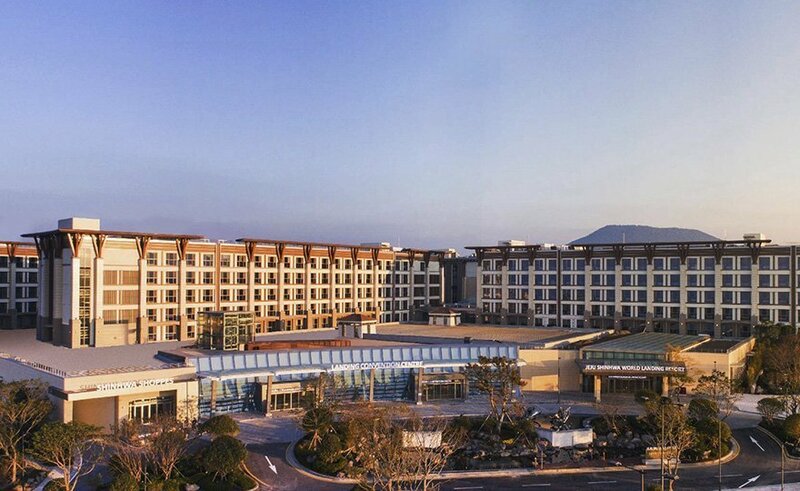 The Landing Resort Hotel and Somerset Jeju Shinhwa World are also walking distance from the casino. 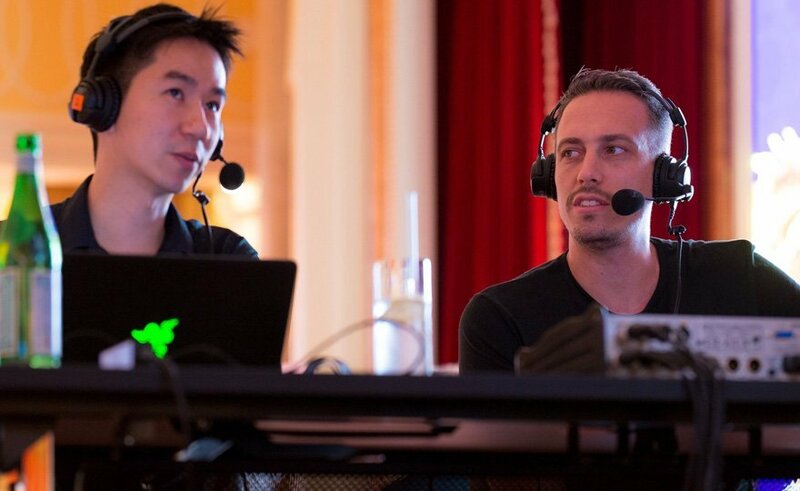 The Triton Poker SHR Series also offers unrivalled broadcast coverage across a myriad of platforms with the dynamic duo of Twitch sensation Lex Veldhuis and online pro Randy ‘nanonoko’ Lew reuniting for the English stream. Macau Millions Champion Chen An Lin, EPT Barcelona 2018 Main Event Runner Up Haoxiang Wang and Two-Time Red Dragon Champion Celina Lin will cover the Chinese stream respectively. Previous winners of Triton Poker events include Manig Loeser, Fedor Holz, Daniel ‘Jungleman’ Cates, Koray Aldemir, Stefan Schillhabel, John Juanda, Dan Colman, Jason Koon, Phil Ivey, and Mikita Badziakouski. Jeju Shinhwa World is a fully integrated world-class resort spanning 2.5 million square meters, chocked full of top-class dining experiences, and entertainment facilities including Shinhwa Theme Park, Shinhwa Water Park and, of course, the elegant Landing Casino.